Don’t have the required 5% down payment for your new mortgage? We can help you get it from a loan or line of credit. Take advantage of low interest rates and housing prices — without having to wait while you save up the down payment! Whether you are a first-time home buyer or an experienced buyer, we can provide you with access to the best mortgage products and rates across Canada. Refinancing a home loan is an easy and affordable way to pull out equity for home improvements, investments, debt consolidation, and more. By negotiating for a better renewal, you could save thousands of dollars each year. We can shop around for an interest rate before you even hear from your lender. And the best part is that all legal fees and appraisal costs are covered by the lender. Our insurance brokerage division has access to the most competitive rates from Canada’s top insurance companies. We can help you find the right insurance policy to protect your home, vehicle, business, rv, boat or vacation property — and give you the peace of mind you need. CHIP is a loan that’s secured against the value of your home. This enables you to convert up to 55% of the home’s value into tax-free cash, stay in your home for longer, and set yourself up for a stress-free, financially stable retirement. We can access more mortgage products. We’ll walk you through the mortgage process. 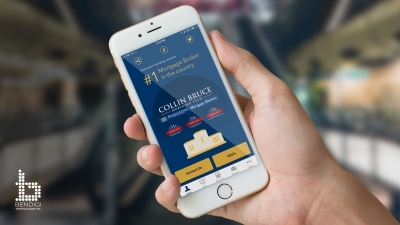 We’re one of Canada’s top mortgage brokers. Dominion Lending funded over $39 billion in mortgages across Canada in 2016, and we have been Dominion’s number-one broker in the country for the last seven years. Simply put, the more volume we fund, the lower rates you get. Our services are completely free to use.